Archbishop Ntagali was born on 1 March 1955 in the Kigezi District in Uganda and reared in the Hoima District of Bunyoro. He was educated in Uganda and at St Paul’s United Theological College in Limeru, receiving a Bachelor of Divinity degree in 1993. He underwent further studies at the Oxford Centre for Mission Studies and received a Master of Arts degree in 1999. He began his ministry as a 19-year old youth worker in Wambabya Parish in the Diocese of Bunyoro-Kitara and in 1977 was commissioned as a catechist to serve in Karamoja. Ordained priest in 1981 he served in the parish ministry until his appointment as Archdeacon of Masindi in 1993. In 2000 he was appointed secretary of the Diocese of Kampala and in 2003 became the provincial secretary of the Church of Uganda. On 19 December 2004 he was consecrated the first bishop of the diocese of Masindi-Kitara. 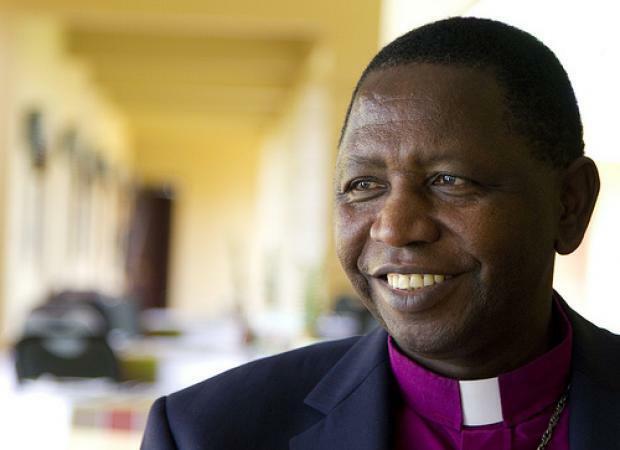 The House of Bishops of the Church of Uganda elected him archbishop and primate on 22 June 2011 and he was installed on 16 December 2011. He is a member of the GAFCON primates council and the Global South primates group. He is married to Beatrice Ntagali and they have five children.